On 1 August, the government will have new acting health minister. "We should vote and support the changes in the leadership of the health ministry. With the Cabinet support, on August 1 we will nominate Ulana Suprun as acting health minister," Prime Minister Volodymyr Groysman told a Cabinet meeting on 27 July. 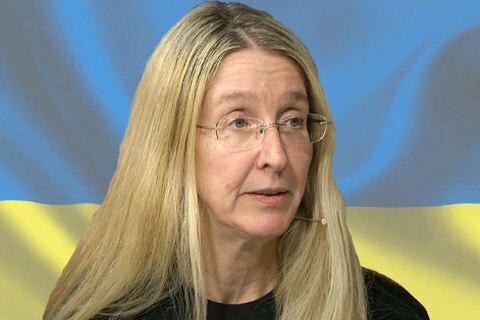 Ulana Suprun is an American of Ukrainian descent. Since the fall of 2013, she has lived in Ukraine. During the events of the Revolution of Dignity she worked in a medical service. In 2014 she headed the humanitarian initiatives of the Ukrainian World Congress. In 2014 she founded the Patriot Defense organization, which holds trainings for first aid treatment and provides Ukrainian servicemen with improved NATO-standard individual first aid kits. On July 11, 2015, Ulana and her husband Mark Suprun Ukrainian citizenship. Currently, acting Health Minister is Viktor Shafranskyy.